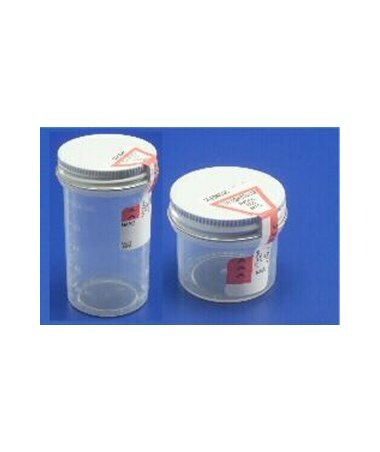 4 oz Container, 3-1/2" x 2"
Precision 4oz sterile specimen containers with tamper evident seals offer a leak-resistant seal which allows for effective transport in pneumatic tube systems. Exclusive metal lid with plastic lining provides a leak-resistant seal to minimize leakage of specimen during transportation. 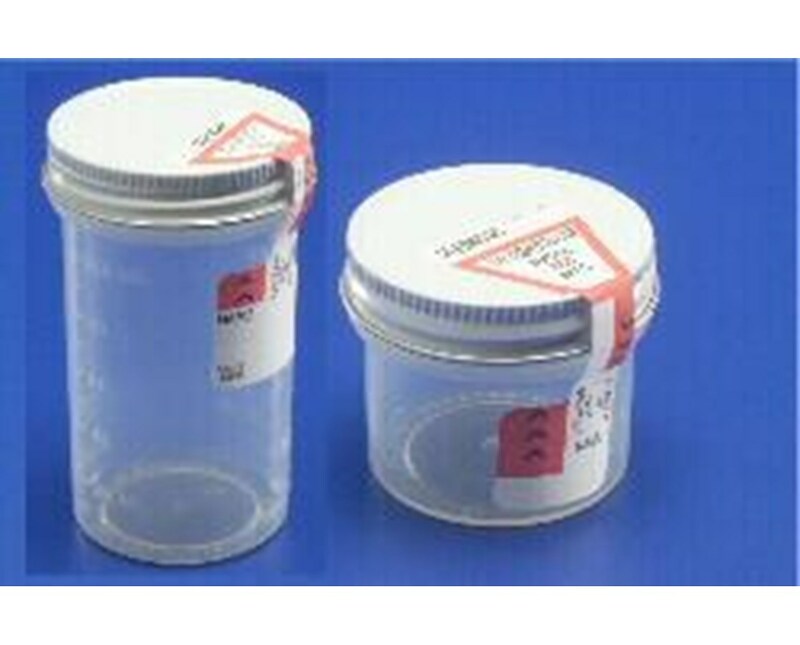 Specimen Container is made of polypropylene.